Today is Thursday, April 11th, 2019 and these are your news and notes. There were five contests yesterday in action for the first day of Stanley Cup Playoff action. TXHT is going to have all of your coverage and you will our coverage in the games below. The New York Islanders would take Game 1 in this contest by downing the Pittsburgh Penguins by the score of 4-3 in overtime, thanks to Josh Bailey scoring the game winner at the 4:39 mark in overtime. Game 2 takes place Friday night at 7:30 p.m., ET, when the Islanders will look to take the 2-0 series lead. TXHT’s Christopher Vasilas has your full recap of the contest at the following page. The Columbus Blue Jackets would take Game 1 from the Tampa Bay Lightning after being down 3-0 at the end of the first period, winning the contest by the score of 4-3. Columbus looks to take the 2-0 series lead Friday night in Tampa. TXHT’s Russell Hartman has your full coverage of Game 1 at the following page. In a hard fought contest, the St. Louis Blues would take the home-ice advantage, downing the Winnipeg jets by the score of 2-1. The St. Louis Blues lead the series 1-0. The St. Louis Blues will look to take the 2-0 series lead when the two teams face off for Game 2 on Friday night. TXHT’s Aryan Weisenfeld has your coverage of the contest between the St. Louis Blues and Winnipeg Jets at the following page. The Dallas Stars would take Game 1 from the Nashville Predators with the 3-2 win. Dallas’ defenceman Miro Heiskanen would score two of the Stars goals in the contest, after being down 1-0 early in the contest. Mats Zuccarello would go on to score his first postseason goal as a member of the Dallas Stars organisation and Nashville’s defenceman P.K. Subban would bring Nashville within a goal but Nashville could not tie the game late in the third period. Dallas looks to take the 2-0 series lead when the two teams face off Saturday night at 6 p.m., ET. TXHT’s Dickson Kendrick has your full coverage of the contest at the following page. The San Jose Sharks would get five goals past Vegas goaltender Marc-Andre Fleury to down the Vegas Golden Knights by the score of 5-2. Five different goal scorers in total emerged in the contest on the Sharks side whereas Mark Stone would register the only two goals for the Golden Knights. TXHT’s Michael Lindenbaum has your full recap of the contest at the following page. 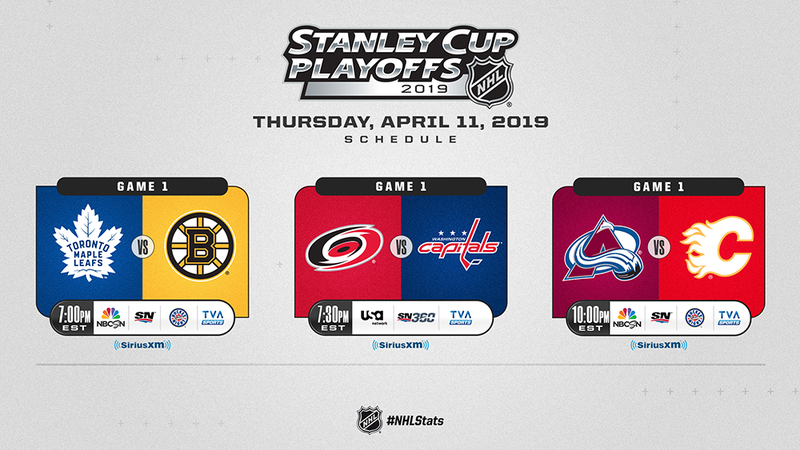 TXHT will have your full previews and gameday recaps of all three contests so make sure to stay tuned for all of your Stanley Cup playoff coverage.